Are you looking to pursue an immigration matter and are located in Centreville, VA? Centreville. 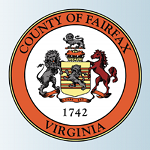 VA is located in Fairfax County and is a growing area. Immigration lawyer, Beeraj Patel has been serving residents of the Centreville, VA area for years. Navigating the U.S. immigration system can be very difficult and having an experienced attorney can make a world of difference. You can trust that Mr. Patel believes in what he does because he is not just an immigration attorney, but also an immigration rights activist who regularly blogs about current events in U.S. immigration. With over a decade of experience and knowledge of the local immigration resources available in Centreville, VA, Mr. Patel could be the perfect fit for your needs. IT firms and recruiters are constantly on the search for new and talented individuals who possess specialized training. In Mr. Patels’s professional experience, he has served as general counsel for IT companies. This unique perspective has given him insight to the inner workings of an IT company, and he knows exactly what business immigration needs a company has. Both H-1B visas and PERM Labor Certifications are amongst the most vital to business immigration in the IT world. Mr. Patel has processed over 1000+ H-1B visa cases and over 500+ PERM Labor Certifications. Optional Practical Training (OPT) and Curricular Practical Training (CPT) are emerging as more and more important to IT firms. Mr. Patel’s professional knowledge in the areas of OPT and CPT allow him to properly initiate, monitor and manage OPT and CPT cases, ensuring the best possible results for his clients. He is also well-equipped to promptly respond to any unforeseen audits that could develop. The size of your firm is not important. Mr. Patel is able to provide business immigration solutions to either small, medium or large sized IT companies. He provides a broad range of services that can satisfy the needs of any growing company, including legal document drafting, corporate immigration or compliance issues, designing responses to Requests for Evidence (RFE) and preparation of non-compete agreements in order to protect the employer’s best interest. Mr. Patel can manage all business immigration needs regardless of size or complexity. Mr. Patel’s philosophy is to educate clients while he assists them. This means that he puts an important emphasis on communication. Mr. Patel makes himself available to his clients in order to manage their concerns and questions. Not only can he meticulously manage your case, but he can also help guide you through the process. Our firm serves clients from around the world and we understand that understanding a client’s culture is a very important aspect of providing legal immigration services. This is why we try to accommodate clients in various languages other than English including, Hindi, Gujarati and Spanish. Outside of court, taking advantage of local immigration resources provided in Centreville, VA can help you feel more at home. Local experience is important and Mr. Patel knows what immigrations resources are available in the area. Centreville, VA provides great online immigration resources such as the Centreville Immigration Forum which allows users to discuss their experience with immigration matters. Centreville. VA provides access to USCIS approved civil surgeons, a useful service for any individual who needs to utilize the services of a civil surgeon in immigration matters. To locate the availability of civil surgeons located in Centreville, VA, visit the USCIS Civil Surgeons Locator. The Centreville Labor Resource center provides a safe, organized Center where residents and contractors can negotiate work arrangements with day laborers. This is a great service for individuals who plan on working with contractors on specific projects. If you are living in the Centreville, VA area and are interested in pursuing immigration, call us today! Our firm’s experience with processing and managing all types of immigration cases and our knowledge of additional resources allow us to provide the best legal services available in the area at a price which is still affordable. Interested in hearing more? Call us at 703-594-4040 or fill out our contact form. Initial consultations are always free.